Beethoven was truly an eccentric musical genius; composing a brilliant piano sonata one minute, throwing eggs at his maid the next. 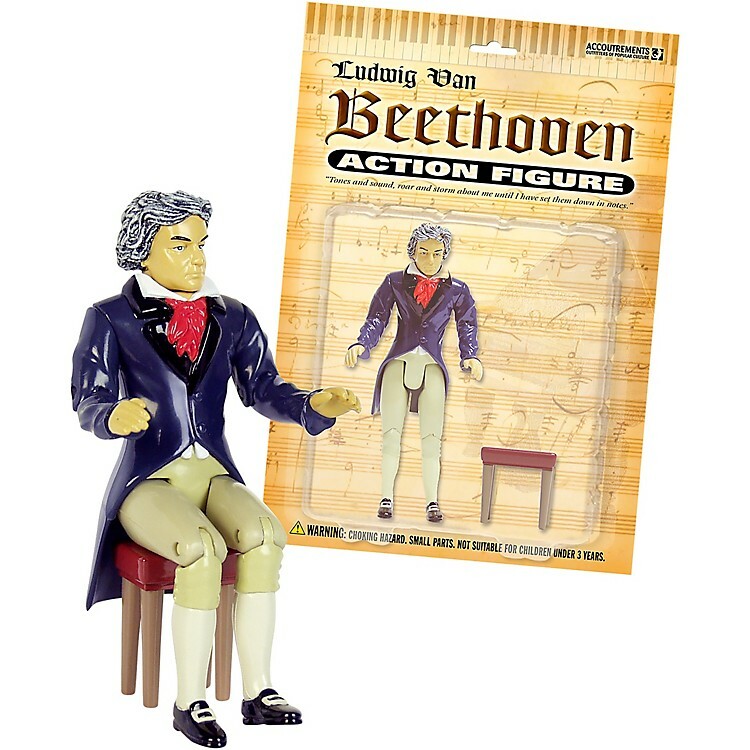 This 5-inch tall, hard plastic Ludwig van Beethoven Action Figure has moveable arms and legs, allowing him to sit on the 1-inch plastic piano bench included. And, since he couldn't have composed all those masterpieces without a piano, we designed an amazing fold-up paper piano that you can print out from the internet for free! Each figure comes on our illustrated blister card with Beethoven info on the back.